Big Freakin' Sur y'all. I just returned from what's become an annual fall road trip to Big Sur, California. And I don't know if I've ever seen it so beautiful. As I was driving up and down the Pacific Coast Highway through Big Sur, often for miles without seeing another car, I wondered if this wasn't the Big Sur that the likes of Jack Kerouac and Henry Miller wrote about so many decades ago. As Miller wrote, "Big Sur is the California that men dreamed of years ago, this is the Pacific that Balboa looked at from the Peak of Darien, this is the face of the earth as the Creator intended it to look." 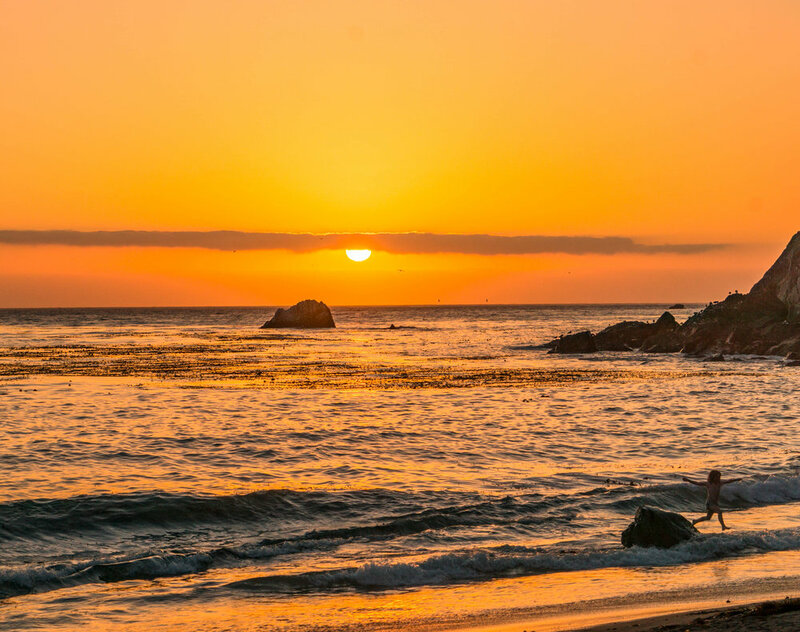 I've long held that Big Sur is one of the most beautiful, special places on earth, and there I was in the heart of it, as if I had it all to myself. And the reason that Big Sur felt that way is because for many months, parts of Big Sur have largely been inaccessible. Needless to say Big Sur has been through the ringer during the last year and change. California's record drought led to massive forest fires last summer, followed by a record-breaking winter of precipitation in California, which resulted in flooding, and worse, massive landslides that closed multiple sections of Highway 1 through Big Sur. Nevertheless, on this latest fall road to Big Sur, I was resolved to see every section of the Pacific Coast Highway that I possibly could. And I did. Albeit it wasn't without inconvenient adventures, including going up and over Big Sur's mountain range on a narrow road with more than 100 turns. Yet what resulted was one of my best weekends of traveling in America to date. Roads to myself, beautiful sunsets, star-filled night skies, and beachfront camping. Now that's a California road trip. See some of my photos from my fall road trip to Big Sur below.